A renowned psychiatrist and the author of articles on subjects ranging from psychoanalytic anthropology to machine intelligence takes on America’s $300 billion a year love affair with slot machines. Are slots a business-or a national obsession? Just entertainment-or religion? Harmless fun for millions-and an addiction for some? In Slots, Dr. Forrest considers all these perspectives, guiding the reader through the literally hypnotic world of casino slots. Drawing upon neuropsychiatric, sociological and cultural insights, he illustrates how this machine became such an enticing device in America. 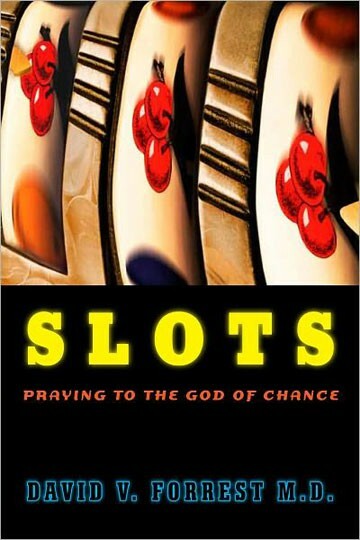 What this book describes with equal parts humor and awe is the way slots emporia have been transformed from underground grottos into soaring cathedral-like structures where congregants sit and commune-all to the end of worshipping the god of chance. 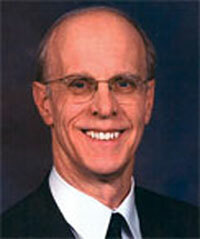 David V. Forrest studied literary criticism as a premed at Princeton, and received his medical, psychiatric and psychoanalytic training at Columbia University College of Physicians and Surgeons, where he is now Clinical Professor of Psychiatry. As well as publishing hundreds of scholarly articles, he has co-authored a videotape series in psychiatry and neurology, won a Bronze Medal for being chief of the largest psychiatric clinic during the Vietnam War, and is past president of the American College of Psychoanalysts.